Just like any other industry, insurance companies gather big data from all the traditional sources. Companies need to have a proper data management program, where they can leverage the data into better service and solid profits. As technology grows in the industry, insurers face burgeoning data caches coming from a new set of sources. While there are many sources that actuaries and analysts gather data from, one of the more modern sources is home and vehicle telemactics programs, which are being used to predict risk and exposure. Another source is web traffic and social media activity, which has also grown beyond expectation, creating a significant growth in data gathering. Gathering and interpreting this data has presented new opportunities and challenges. Data gathered from vehicle/home telematics offers insights into the behavior or exposure of their clients. Properly managing this data set will allow insurers to reduce claims, understand the behavior of their clients and appropriately adjust the cost of insurance based upon their habits, whether good or bad. This will surely reduce the cost of insurance to their preferred clients and properly assess charges to clients with more risky behavior. This data will also help identify marketing opportunities, streamline accident reconstruction or recover auto thefts. The fact is, for insurers, big data is here to stay. Across the industry, there is a race to gather, manage, and leverage this data. Customers will enjoy a higher level of customer service and potentially significant reductions in paid premiums as a result of accurate data that reflects their positive habits. This is a positive note for all, as premiums should rise for those who are higher risks. 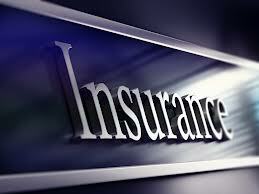 In addition, insurance fraud will be reduced, and those that receive preferred rates will experience even lower rates. A more fair and equitable insurance system is now on the horizon thanks to big data and new data management approaches in the industry. Data Ladder is proud to partner with insurers to achieve these goals. With one click, you can go to Data Ladder and download a free trial of our DataMatch software. Learn how efficient your data management can become!